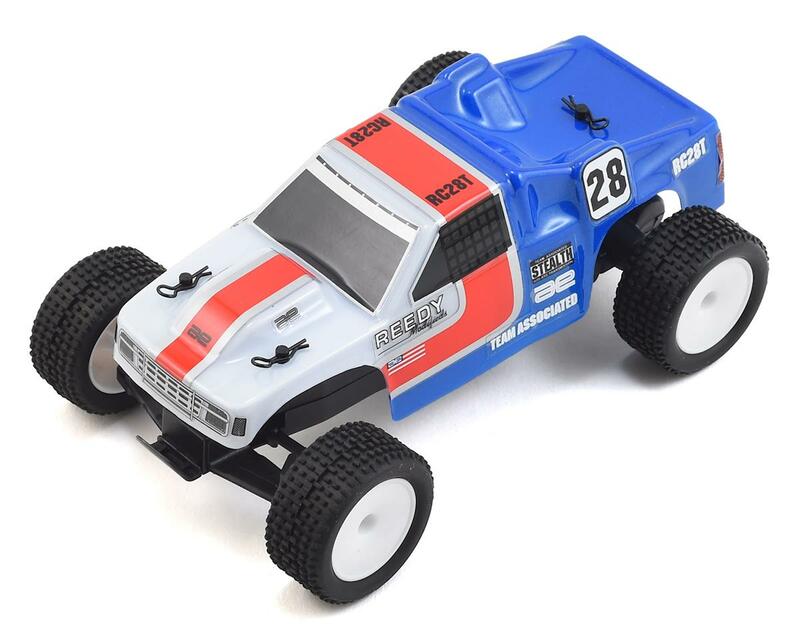 The Team Associated RC28T 1/28 Scale RTR 2wd Stadium Truck is a pint sized replica of Team Associated's classic RC10T stadium truck! 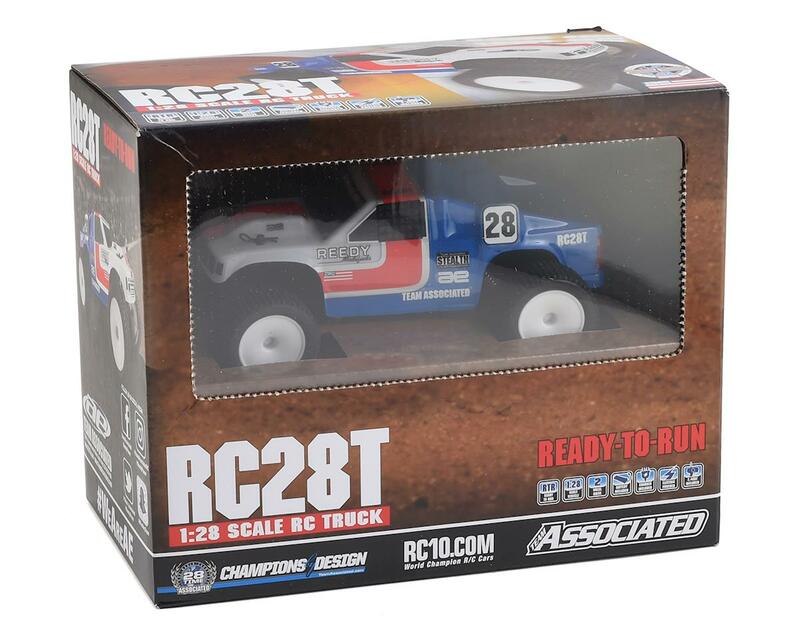 The RC28T Race Truck allows you to drive around corners, over jumps, and across the finish line! No wall outlet needed -- just recharge right from the transmitter. 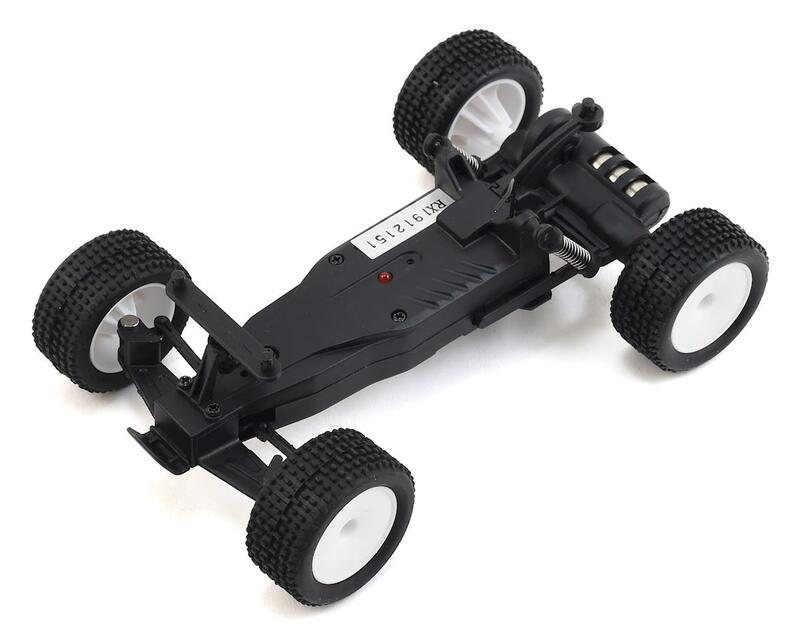 The 1:28 scale series is Team Associated's exciting line of products that are designed to be FUN above all else, yet are lower cost, easy to use, durable, and provide an easy way to get into the RC hobby. When great looks are combined with quality features and value pricing, it becomes the ultimate product. When all this is offered from a company like Team Associated, it's nothing short of awesome. This is a great indoor truck for the price. 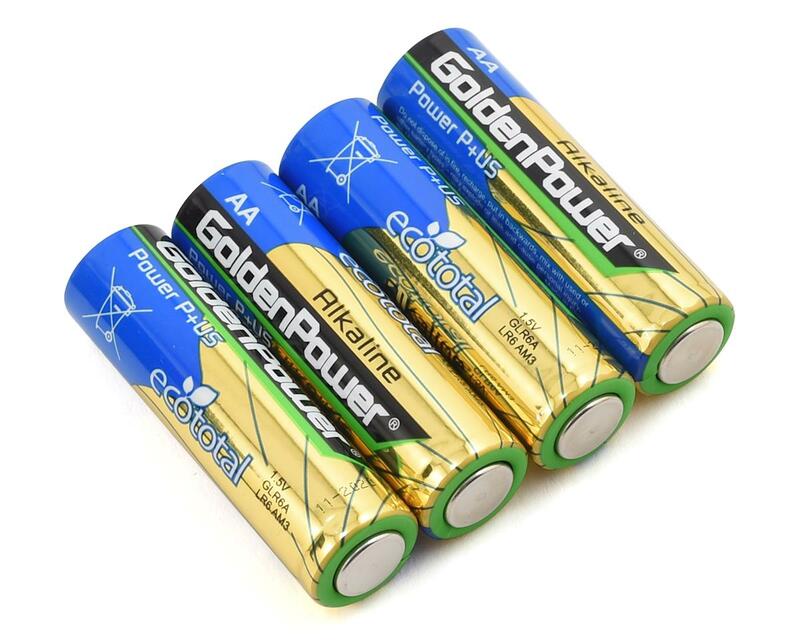 The battery runs for a long time. The suspension allows it to easily drive over small obstacles like the edge of a rug. It's perfect to play with in a living room. 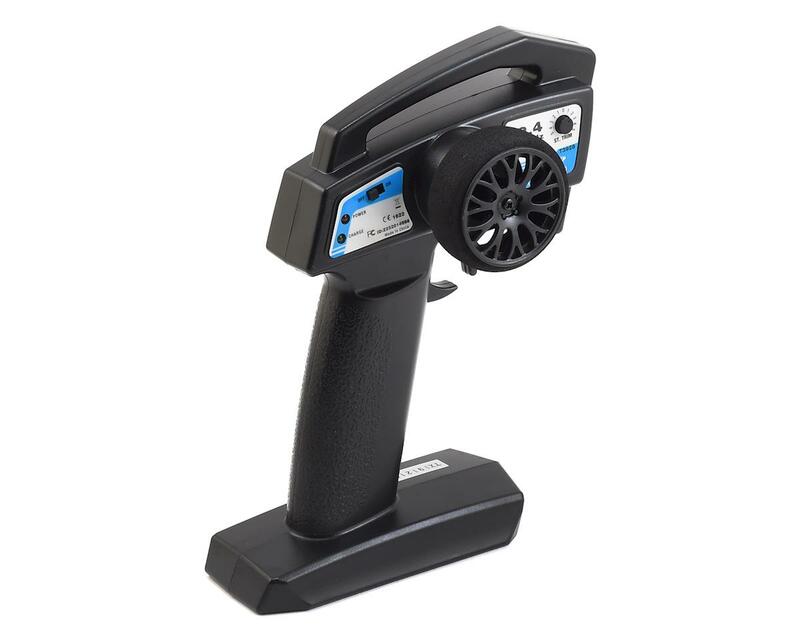 This is an awesome little toy for the price.